Why Do Small Dogs Bark So Much? Have you ever asked yourself why do small dogs bark so much? If you look around your neighborhood, chances are that the dog who is responsible for the most noise in the neighborhood is not a menacing pit bull or noisy German Shepherd. It will probably be a small terrier or Chihuahua making the noise. 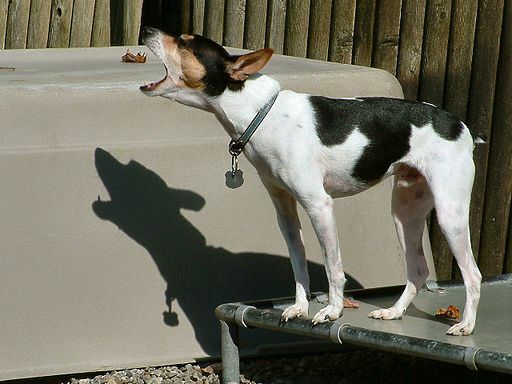 There are several reasons why small dogs bark. The key to addressing barking problems is to first consider the reason behind the behavior. All dogs are instinctively pack animals, even the smaller ones. They learn very quickly what the ‘pack’ hierarchy is within your family and they work out what their position is within that pack. Click here to fix your dog's behavior problem and get started with dog obedience training. Unfortunately, with the tendency of many people to treat small dogs like dolls or babies, this only teaches a dog that he or she is now the leader of the pack. They are able to make their pet human feed them on command, clean up after them on command, sleep where they choose and basically rule the home. It’s also unfortunate that a small dog that has been placed in a position of ‘pack leader’ will feel like they are also responsible for protecting you and your home. They’ll bark at anyone who walks past the house or comes to the front door. The key to addressing this type of barking behavior is to re-establish the pack order. Work on gentle, subtle ways to instill yourself as the pack leader. This will reduce your dog’s stress levels and make it far more likely that the barking will be reduced to a warning bark. Dogs are highly social animals. They will all view your family as being a part of their pack. They want to know they’re included in the pack order somewhere and they don’t like to be left out. Small dogs that spend a lot of time alone while their owners are at work tend to get very lonely. This can cause anxiety, stress and even behavioral problems that can include destructiveness and aggression. Most importantly, a lonely dog will bark. Small dogs who bark all day aren’t being naughty. They’re simply calling out for someone to socialize with. They’re making noise to see who will respond. A good way to reduce the amount of barking caused by boredom or loneliness is to offer your dog a form of mental stimulation while you’re away. There are specific dog toys available that you can fill with kibble. Your dog will have to work out a way to get the kibble out of the toy, which can take several hours, especially if you hold the kibble in with a little peanut butter. This type of mental challenge will keep your dog amused and busy, which will reduce the time he has available to stand around barking through sheer boredom. In the eyes of a very small dog, their giant human owners can be very intimidating. While they may adore you, they may also develop a sense of fear of other large people, animals or perceived threats. A small dog may often bark uncontrollably at the window at people or other dogs passing by simply out of fear. They are calling out to you, letting you know there’s a potentially ‘scary thing’ going on outside. Fear-based barking is actually the easiest barking problem to address. Your dog simply needs to know that the thing he’s so scared of really isn’t that scary at all. Don’t make the mistake of trying to reassure your dog the way you would reassure a child. This only reinforces your dog’s behavior, as they believe they’re being cuddled or petted out of affection or as a reward. Instead, the next time your dog barks at the window or at the door, walk up to the window quietly. Look outside and then tell your dog: “Enough”. Then walk away from the window. Your dog should immediately stop barking, as he will be aware that if you’re not afraid, there’s really no reason for him to be afraid either. The moment your dog stops barking, remember to reward him for this behavior with a treat or an affectionate pat.